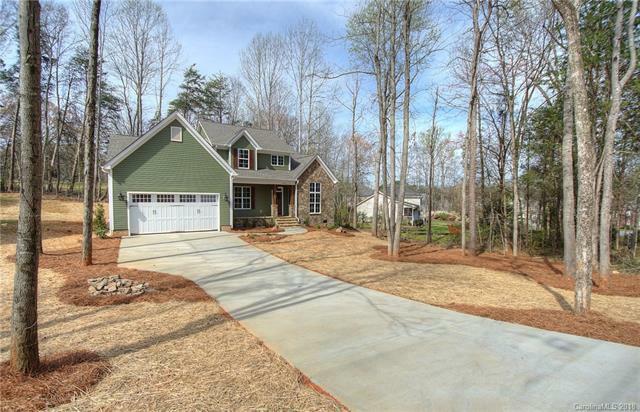 This is a must see Craftsman custom home with so much attention to detail. Fall in love the flagstone front porch as you enter the property. Foyer with beautiful hardwoods, wrought iron balusters, gorgeous stairs leading to the second floor.Huge family room with vented fireplace, living room, dining room, kitchen with breakfast area, bar, custom cabinets, granite, gas cooktop, stainless package with refrigerator, designer lighting package, shiplap in the powder room. Owner's suite on the main with luxurious tile and large walk in closet.Upstairs has 3 bedrooms, large bonus/recreation room and 2 full baths.Step outside the back of the home onto your deck for entertaining and enjoying the outdoors.Perfect location for coffee and relaxing.Huge 195 x 90 lot.Home Warranty!Established neighborhood and NO HOA!Don't miss out on this custom home by Thayer Contracting, Inc. They are exceptional builders and have done a wonderful job designing this home. Sold by Rite Time Realty.